Machine learning advances into ever new dimensions. In the meantime, Artificial Intelligence can do something that previously seemed to be reserved for humans: it understands emotions. Modern AI and machine learning via neural networks have a natural model: our human brain. This model is the most effective tool for solving all our known problems. However, a critical aspect of our intelligence was missing in the previous AI programs. It is about empathy and emotional intelligence. With these abilities, people can grasp feelings and make intuitive decisions "straight from the gut". To date, intelligent software programs have been able to understand speech, respond to it and act independently even after a particular data template, i. e. to act intelligently in common sense. But they do not feel for anyone. Now developers have moved a step closer to the incorporation of emotions into machine intelligence. Engineers have developed a method that allows the computer to recognise human feelings using physiological reactions and facial features. The pioneers of AI programs - Google, Microsoft and other giants - are very interested in this. 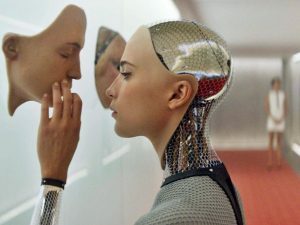 They would like to integrate this AI aspect into their existing solutions or create computer-aided sentiment analysis that helps machines to interpret human feelings correctly and act accordingly. These can be machines of all kinds, even construction machinery. How does machine learning about emotions work? Physiology cannot measure every machine because it requires individual sensors. But all the other signs are audible. Especially speech and facial expressions contain various non-verbal cues, which are very meaningful. Research results show that 55% of messages in the conversation are hidden in smiles, facial expressions and body signals such as a shrug of the shoulder, 38% in tone and only 7% in the actual meaning of the words. The previous software solutions for speech analysis thus neglect most of the message; they just identify the word itself. For example, a smartphone with speech recognition currently does not yet recognise a phrase with exclamation marks or question marks. But companies using Artificial Intelligence quickly learn more. These companies want to assess the emotional impact of advertising spots. Such situation can be possible by turning on the camera on a laptop while watching an advertising video. Up to the computer, which really "empathises" with us, not much more research time should pass. Experts already point out that an ethical discussion could then arise: Does the computer have feelings, does it have rights? Artificial Intelligence visionaries have never been embarrassed by bold predictions. As early as in the 1950s, research was accompanied by a series of utopian forecasts concerning future developments and their impact on society. As naive as such forecasts and desires may seem in retrospect, short-term trends in the event of intelligent systems of any kind can positively be identified and used sensibly. In 2018, the development of Artificial Intelligence will gain momentum like never before. Here are seven trends that you should know about AI development in 2018. After many promises of earlier AI research which had not even begun to be fulfilled, the field of Artificial Intelligence became calmer in the nineties. But at the turn of the millennium, Artificial Intelligence celebrated a comeback, which developed into a hype in the following years and was supposed to overshadow even the naive optimism of the early days. For some years now, we have been anticipating the point at where the long-standing debate on feasibility, which has been mostly theoretical, will finally lead to practical implementations that can exist for themselves. Somewhat philosophical topics such as the question of the principled possibility of active and general AI are increasingly being ousted by the power of the factual. Even old fears about the superiority of future intelligent machines are increasingly fading beyond the utility value of technologies that are already foreseeable today. For 2018, we anticipate that the focus of Artificial Intelligence will shift even more strongly into practice. Fundamental questions are increasingly coming into the background, the concrete applications of the different technologies conquer everyday life and are taken for granted by companies and end users. Even though fundamental considerations on machine intelligence have lost some of their weight - research in all areas of Artificial Intelligence continues to run at full speed. In 2018, the emphasis will be on two trends: In addition to the already mentioned stronger emphasis on practical aspects and the implementation of brilliant systems in practice, the shift in excellent research from the university sector to a number of global players in information technology can be observed. In fact, the willingness of companies to explore more radical concepts and to use the application of AI technologies in end devices only for the production sector is becoming increasingly apparent. To this end, more and more groups are forming workgroups and subsidiaries according to the Skunkworks principle: research budgets that university departments can only dream of utopian projects whose economic counter value is uncertain at best. The best-known example is probably Google's research company X. For decades, AI concepts have been regarded as esoteric in programmers' circles, as Deep Magic. The fact that Artificial Intelligence in application development is increasingly being made available and used by non-specialists is another development that we foresee for the year 2018. Whether in the form of program libraries and APIs or as building block elements in development environments for non-specialists: Artificial intelligence will be available to a broader group of people for modular use in all kinds of systems. Particularly in areas such as data mining and pattern recognition, the increasingly noticeable shortage of skilled workers will make it necessary to introduce such personnel to the possibilities offered by AI, which does not have the required in-house knowledge. As a result, Artificial Intelligence will become more and more a matter of course for users as a freely available design element: e. g. for assistance in the network, on mobile devices or in social networks. We already know them for years: virtual assistants who respond to our commands on mobile devices or in the field of home automation and, if desired, browse the web, control the volume of music or forward our shopping lists to retailers. Although this is already an everyday example of AI, it will be a further trend for 2018: virtual assistants will become more flexible and intelligent. And they will continue to spread, whether as a source of information for customers or as a wise companion in everyday life. The already successful systems of this division, such as Amazon's Alexa or Google Home, have already set standards here and will pave the way for new developments and improvements. Anyone who is regularly on the Internet knows the effect: advertising and other product information are adapted to previous searches for keywords or visits to websites. Based on the latest developments in machine learning and pattern recognition, AI will also open up new possibilities in this area. Intelligent agents and assistants will not only be able to select ads and news results but will also be able to customise the entire user experience to meet the needs of the user. 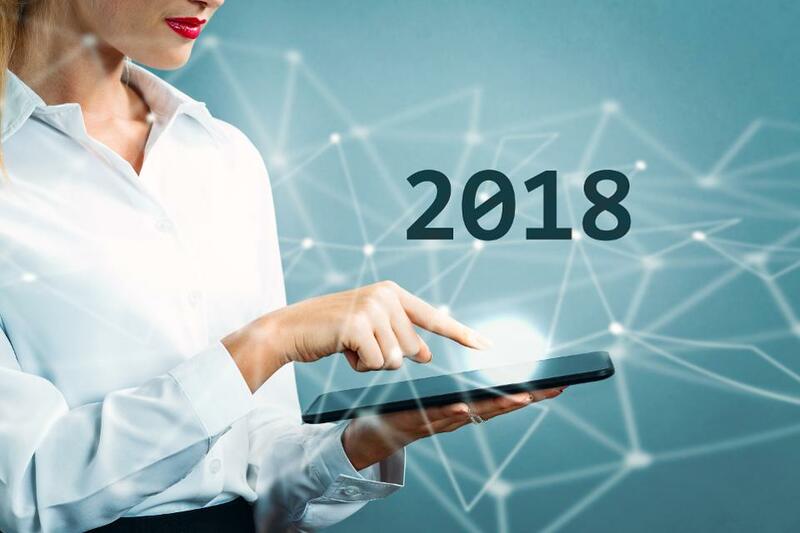 2018 will be the year in which marketing and information management will become intelligent, with tangible effects for the user regarding the possibilities for personalisation and electability of the services. At the same time, AI will become increasingly invisible from the end user's point of view: The result counts, not the technology behind it. Another exciting aspect will be the combination of the new technical possibilities with the still growing legal and political framework conditions for data protection and the protection of privacy, especially in the European Union. Not only will AI 2018 enter virtual environments, but also physical reality. Robotics has been regarded for a long time as a critical discipline in the field; the underlying consideration is that real intelligence can only be created through direct contact with the physical world. Be that as it may, 2018 will be the year in which Artificial Intelligence will also become a key technology in the real world. Efforts to teach cars to drive autonomously are particularly useful in this area, and we will see tremendous progress in this field in the new year. But medical technology will also become more intelligent: AI systems use advanced pattern and image recognition techniques to interpret data from sources such as MRI, PET, CT or X-ray to facilitate the diagnosis of acute diseases. In general, machines are becoming more intelligent: Through the Internet of Things, entire supply chains and production cycles become independently operating systems that use resources more efficiently and produce more with less energy, raw materials and time. The current and future role of the AI naturally leads to a significant increase in investment in researching and implementing the resulting technologies. Companies will not only increase their expenditures in this area, but the war for the best brains has begun in the field of recruiting. AI becomes the focus of economic investments as well as human resources development. In the foreseeable future, the topic will be accompanied by a shortage of personnel in the economy as well as by innovation potential. It remains to be seen whether this problem will have a lasting effect on the progress of development. It is up to society as a whole to take care of filling the existing gaps but also to address future deficits. Thus, 2018 will hopefully be a good year - not only in the sector of Artificial Intelligence. Google's Artificial Intelligence has helped NASA to discover eight planets in a distant solar system. This system is very similar to ours - it could exist life there. 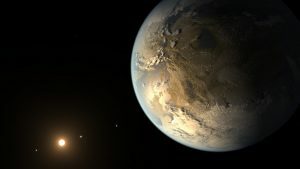 Living on a Kepler 90 planet? 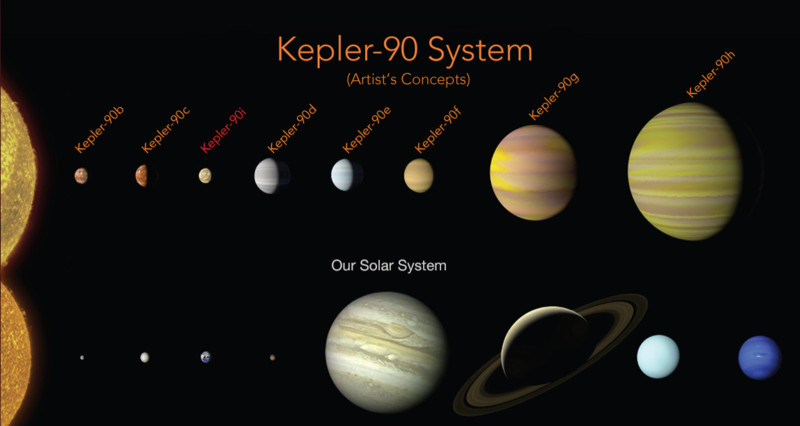 The name of the discovered star is Kepler 90 - eight exoplanets orbit it. These are celestial bodies outside our solar system that circle around a distant star and are similar to Earth, Venus, Mars, Mercury, Jupiter and so on. This is the first solar system with such a large family of planets that astronomers have ever discovered. The eighth of these exoplanets was identified by a neural network whose Artificial Intelligence - a product of Google - supported NASA to discover them. This system tirelessly combed through the data collected by the Kepler space telescope in large quantities. It cannot be ruled out if there are 90 lives under the star Kepler. The distant sun - 2,500 light-years away - is the only one known to us so far, which gathers as many celestial bodies as our natural sun around it. The discovery can, therefore, be considered to be incredibly spectacular, and NASA scientists initially even kept it secret. Striking is also the use of the Artificial Intelligence, with which the discovery succeeded at all. The software trained with planet signals and learned by self-training - which symptoms could point to an exoplanet. These celestial bodies are not visible from the earth, not even with the strongest telescope. Instead, minimal darkening of stars is evaluated. These can only be produced by their satellites in a particular order of magnitude and with a specific orbit. They must, therefore, be exoplanets, not comets or asteroids. Artificial Intelligence: How did it work for astronomical purposes? The Kepler datasets are usually analysed by experts in painstaking detail work. Over time, they develop tangible references to variations in the brightness of a star that indicates a planetary transit. These critical data then establish automated tests, but even these would take many decades to prove an exoplanet for general data reconciliation. The low brightness fluctuations can have many different reasons. Therefore smaller planets, which are also relatively distant from their star, are very difficult to detect. The neural network that Google provided to NASA, on the other hand, received 15,000 planet signals as input, which had once been confirmed by astronomers. With these planet signals, Artificial Intelligence trained how a sign must be constructed to display a real exoplanet. This works even with weak signals. The accuracy of the neural network has now reached 96%, which is sensational among researchers. Specifically, Deep Learning was the exact AI method used in the used in the discovery of the eighth Kepler planet Kepler 90i. Here, a neural network permanently optimises its internal structure via its hidden layers. Thus, it can expand and improve its learning algorithms. This results in a stable learning success, which is also necessary for the evaluation of vast amounts of data. NASA scientists can, therefore, describe Kepler 90i as a Mercury-like celestial body with a surface temperature of about 420 °C and a size of nearly 130 % of the earth's capacity, which orbits its star once in 14.4 days - a very short year. But with Deep Learning it was possible to discover even more similar exoplanets to the Earth. Possibly this brings the proof of extra-terrestrial life within reach. CIO Applications, the IT magazine for companies, has named aiso-lab as one of the best AI solution providers in Europe for 2017. We are delighted about this recognition, which is also an incentive for future development. Artificial intelligence is not only for multi-billion-dollar corporations. Even small and medium-sized companies are beginning to take advantage of the support services provided, and computer software can now be even more integrated into the work processes of even small businesses to increase their efficiency. In this article, we will share with you five simple ways your Business can benefit from Artificial Intelligence. The task of CRM is to collect and manage customer-specific data. 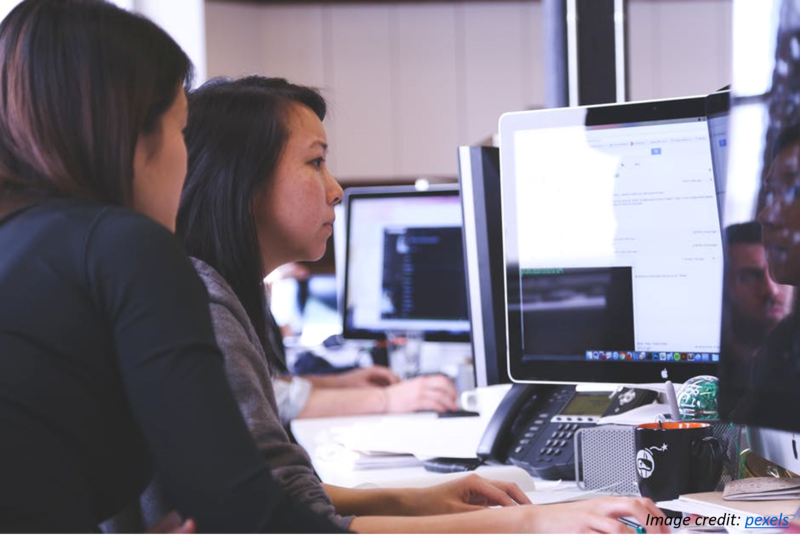 Every company's support and customer service can benefit enormously from leaving the maintenance and organisation of this data in large parts of the software so that employees can devote themselves to more important tasks. An example is the CRM platform of SalesForce which began using Einstein ArtificiaI Intelligence in 2016 to analyse the e-mails, telephone calls, social media posts, product reviews and customer feedback. From this, Einstein Artificial Intelligence draws a picture of the customer and makes it possible to gain new insights from the customer data and to formulate marketing strategies more precisely. In the meanwhile, Artificial Intelligence can take some of the work out of customer support. Automated answers to frequently asked questions provide time-saving support services for customer support, which should focus on more critical tasks that are not yet covered by software. In this case, people can suggest answers or even give them themselves. Artificial Intelligence here acts as an intermediary, thus ensuring free resources in customer support and optimising processes. Intelligent software can also help companies keep marketing costs low. The analysis of user behaviour in advertising offers the possibility to determine precisely which advertising is useful and where the placement of ads does not recoup the expenditure. Companies use their budgets in a targeted manner. With the help of customer behaviour analysis, marketing strategies can be planned even better in the future. Artificial Intelligence can provide valuable support when collecting competitor data and analysing content. AI can monitor the behaviour of a competitor on the Internet. It observes its activities in the social media or any changes in its products prices. In this way, the strategies of an opponent can be predicted and adequate. Thus counter-strategies can be developed. Artificial intelligence can deliver results in various areas of data analysis. Algorithms are already able to make forecasts efficiently. The application is not even that difficult. AI here analyses Google spreadsheets, CSV and Excel files without the need for programming skills during implementation. The user-friendliness grows, and the usage is also possible for non-specialists. Small companies in particular, which do not want to afford a specialist in every area, benefit from such programmes. It can be said that machine learning will have a significant impact on the business world and due to its vast development businesses can already benefit from Artificial Intelligence optimisation and simplification of any tasks in the area of online marketing and data management. aiso-lab is at your disposal as a competent partner for all challenges in the field of software and hardware. Artificial Intelligence: Hype or a serious technological challenge? 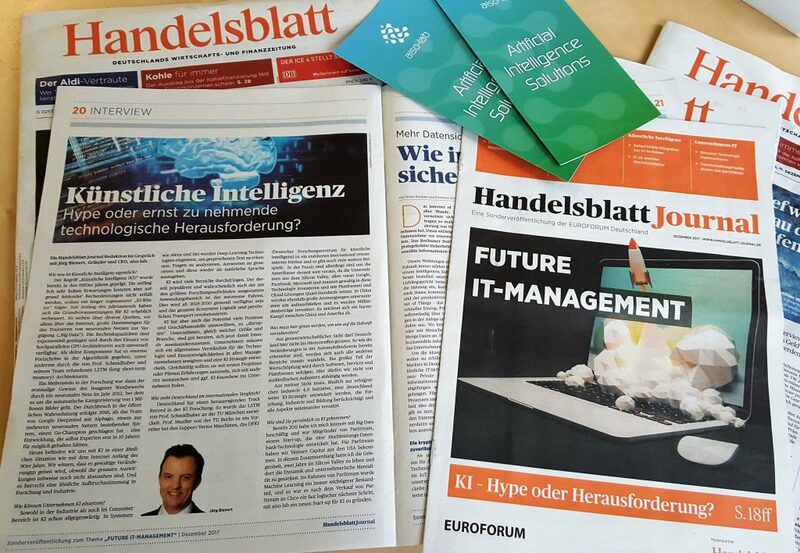 Handelsblatt asked and our CEO Joerg Bienert answered! Don’t miss today in the Newspaper Handelsblatt Journal the published Interview. Counterfeiting artwork is a highly profitable business. One talented art forger can earn millions of dollars by convincing the art world that the painting is real. However, scandals can shake the art market when it turns out that collectors have fallen for deceptively good imitations and have spent vast sums of money on forgeries. Experts estimate that around 50% of the art traded on the market are counterfeit. But this could change soon - since researchers at Rutgers University are currently introducing a computational approach for the analysis of strokes in line drawings that can determine original work beyond doubt and spot a fake just by looking at the strokes used to compose a piece. Identifying fake art is a difficult undertaking. Experts analyse pigments and binders, determine the age of wood and textiles by using the radiocarbon method and infrared reflectography, X-rays to prevent counterfeiters from using glue. Since the actual artists cultivate an inimitable style, scientists at the Rutgers University are using image recognition methods to track down most of the counterfeiters. In the meanwhile, Artificial Intelligence art recognition has reached an almost 100% hit rate with individual artists. 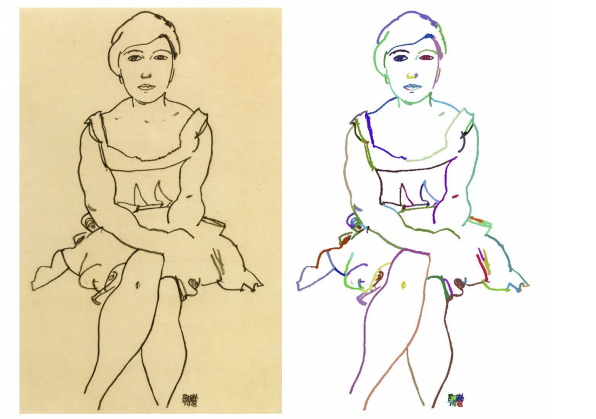 Through Machine Learning, it is possible to draw the strokes of famous artists such as Pablo Picasso, Amedeo Modigliani, Egon Schiele, Henry Matisse and many others. Machine Learning was trained on specific features, the difference between it and the RNN can point to the characteristics the neural network was looking at to detect forgeries. In this case, 300 line drawings of famous artists were shown, and scientists only had to give the information of which pictures belong to whom. 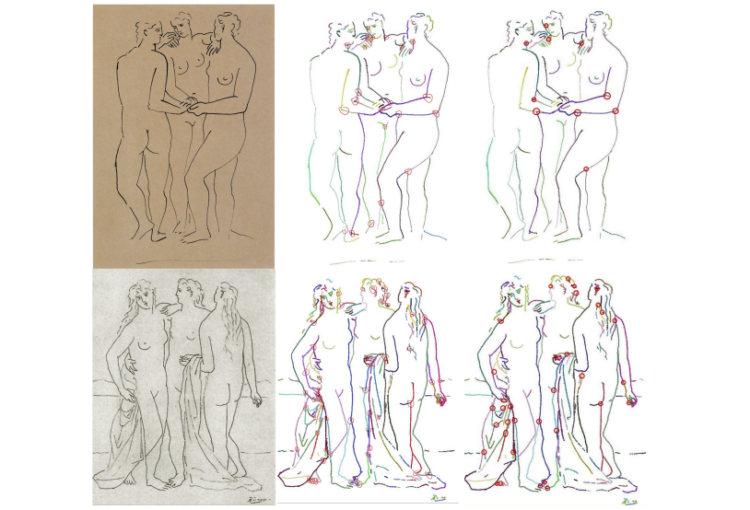 These drawings were then divided into 80,000 single strokes, and the algorithm learned the style of each artist. Later, art recognition was able to assign almost all of the unknown work to the right artists. In the case of forgeries, the hit rate was 100%. As good as the counterfeiters can deceive the human eye, the image recognition learned to distinguish the fakes from the originals by the very own stroke of the artists. This experiment shows that the proposed methodology can classify individual strokes with accuracy 70%-90%, and aggregate over drawings with an accuracy above 80%, while being robust to be deceived by fakes with accuracy 100% for detecting counterfeits in most settings. Up to now, only drawings with ink and pencil, woodcuts and etchings are part of the repertoire of art recognition. However, this will change in the future. Artificial Intelligence will even be able to expose counterfeiters who display new work as original in the style of old masters. All that is needed is to learn to recognise artists not only by strokes. 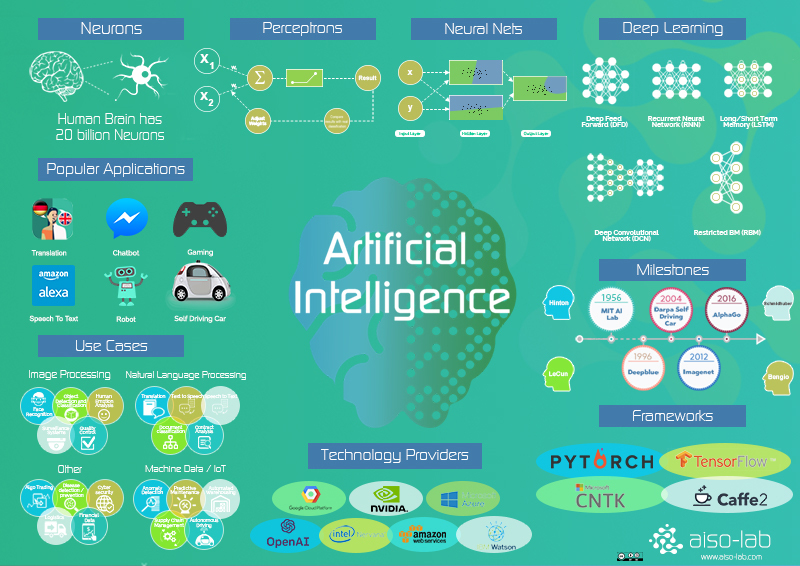 One picture is worth a thousand words, that’s why we have brought Artificial Intelligence essentials into one image. There are certainly more points of view and approaches. Therefore we would like to receive feedback and suggestions which we will gladly consider in the next release. Here you can download your high – resolution AI Poster image. Smartphone becomes AI-Phone – what is the next Big Thing? The modern smartphone era which began 10 years ago with the introduction of the first iPhone, has now matured. When Google's Pixel-2 phones were introduced in San Francisco, CEO Sundar Pichai said that the smartphone's features have "weakened" thus it was difficult to develop exciting new hardware-based products. According to Google, there was a transition from a mobile-first company to an Artificial Intelligence first business, as the field of machine learning is one of Google's strongest assets. Today, the translation of neural machines encompasses 96 languages and provides 2 billion translations per day. The live translation of a woman speaking Swedish while wearing wireless Google Pixel Buds headphones to an English speaking person holding a Google Pixel smartphone is considered as a best-illustrated demonstration proving the power of Google’s new integrated AI phone - services. Google's latest open source software TensorFlow Lite for machine learning developers pre-release, is an exciting change in the area of AI. The company's commitment to the development of AI that can run algorithms on a mobile device - with no internet connectivity - is the foundation for the Artificial Intelligence Of Things (AIOT) of the future. As far as consumer products are concerned, Google’s assistants Alexa and Siri are among the most popular AI mainstream applications. For 30 or 40 dollars, a person can get their own interactive AI assistant – provided that they have WiFi and charging accessibility. TensorFlow Lite represents the first comprehensible steps in order to make Artificial Intelligence - powered devices not only accessible but also disposable. That results in the death of buttons. Developers can now preview Tensor Flow Lite for Android and iOS. 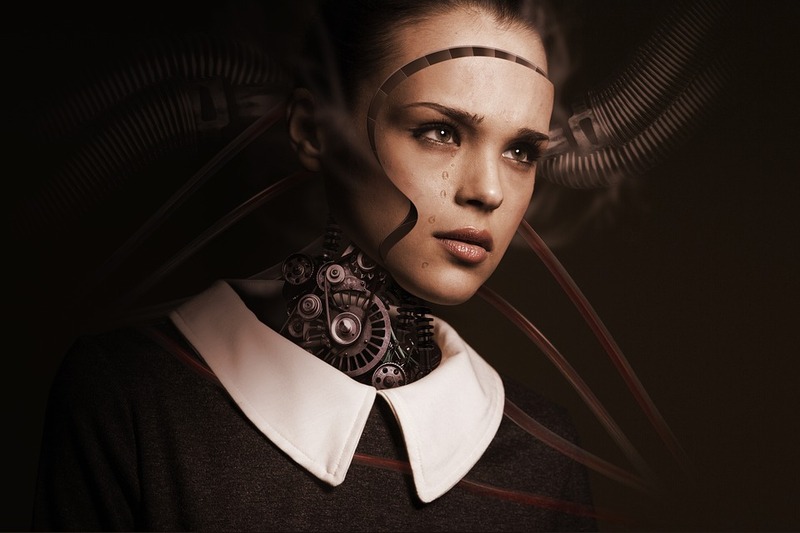 Instead of providing new features for AI applications, the existing hardware - such as the Snapdragon processors - was used to execute algorithms that are normally not possible for mobile devices without connecting to the cloud. With Google's new Lite artificial intelligence platform, you can run AI models on a smartphone and after adding new data, run these algorithms to get new results. It is on-the-go machine learning with no need for internet connectivity. If you're one of those people who are afraid that hundreds of devices in your house can spy on you via your Internet connection, you'll be happy to know that Google’s researchers are designing the Tensor Flow Lite specifically to address these kinds of concerns. Widespread smart appliances create new opportunities for intelligence on the device. Ability to operate' offline' applications where the device does not have to be connected to a network. It is interesting to see what's next on Google's AI Platform Miniaturization project. It paves the way for voice-controlled disposables based on cheap chips and AI-powered devices that won't expose your entire network to hackers attacks. If Google continues to bring more value to less powerful devices, we will eventually live in a world where Artificial Intelligence could affordably be used in any device, even the disposable ones. Google’s engineer and technical director of TensorFlow, Pete Warden, told MIT,"What I want is a 50-cent chip that allows easy speech recognition and runs on a button battery for a year." 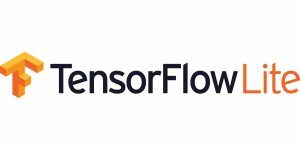 Tensor Flow Lite takes the company one step closer to Warden's vision. On 27th of November, the Artificial Intelligence Workshop will take place at Startplatz in Köln. Are you an early bird? Then click here to get FREE TICKETS and find additional information here. The main topics of this workshop include interactive presentations of AI but also open discussion about technology, applications, social impact and more.